You can reduce your heating and cooling cost by up to 70%. Welcome to Frosty Refrigeration 's geothermal resource center. We're proud to be a full-service provider of WaterFurnace geothermal products for the Maryland area. Whether you need routine maintenance, equipment repair, or a complete comfort system - Frosty Refrigeration has the training and expertise you need. Let us install a solution that uses the clean, renewable energy in your backyard to provide savings up to 70% on heating, cooling and hot water. 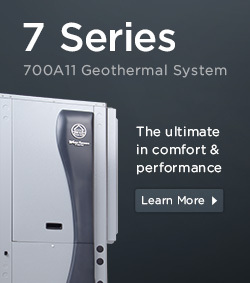 To learn more about our complete line of geothermal products for the Maryland area, contact Frosty Refrigeration . A short overview on the basics of geothermal heating and cooling. 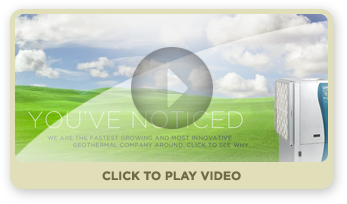 Learn about geothermal's advantage over ordinary systems. Find out how pipes buried 5 ft below the surface can save you up to 70% on bills. Ground-source heat pumps are good for the environment and great for your budget. Heating and cooling has never been more energy efficient than it is today. Baltimore turns to Frosty Refrigeration for geothermal solutions to help lower their utility bills. Summer heat is right around the corner here in Baltimore. Make sure you’re getting the best bang for your buck by upgrading to a WaterFurnace geothermal system.